Perforation to fold or tear off and view future weeks. 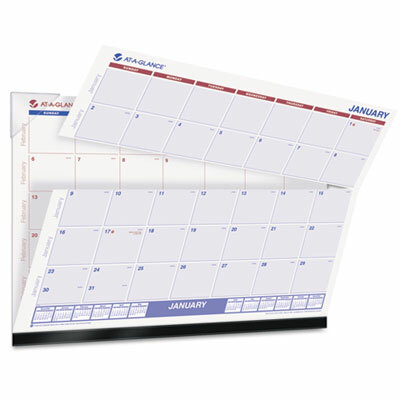 Includes perforation after 2nd week of the month that allows user to fold or tear off those weeks to see the first two weeks of the next month. Full year calendar reference blocks. Federal holidays highlighted. Unruled daily writing blocks.